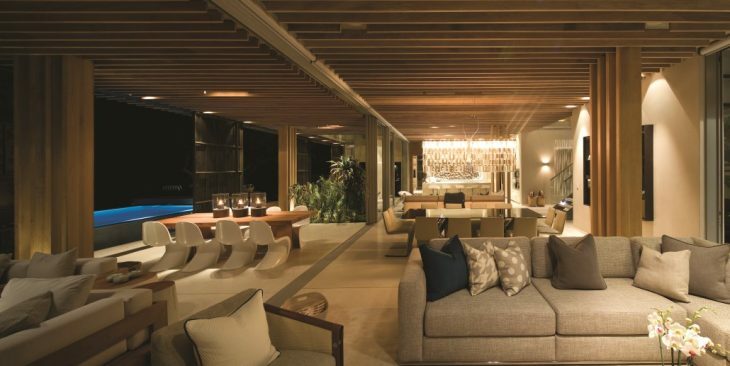 Designed by SAOTA, and with interiiors designed by ARRCC, La Lucia is a beach house that perfectly balances luxury and comfort with its uncomplicated spaces. 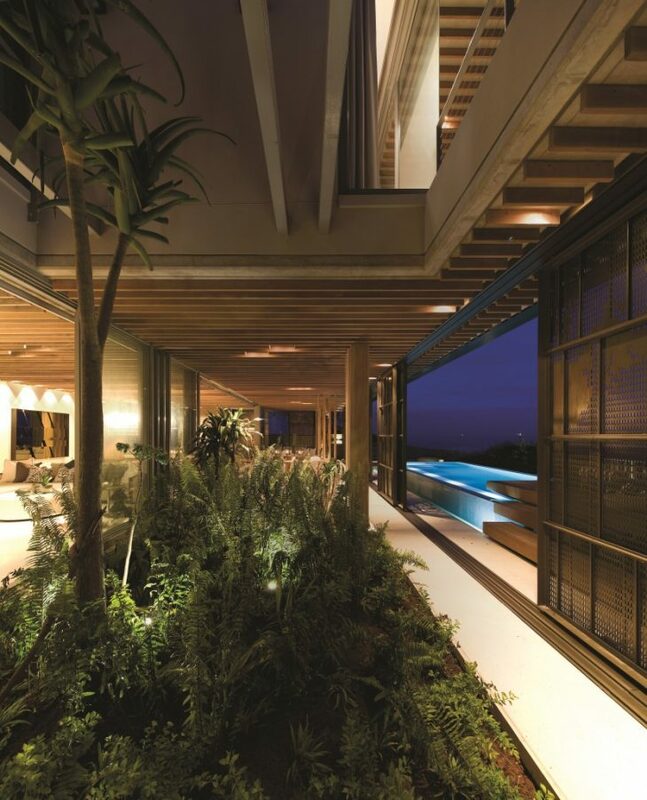 Situated on the Kwazulu Natal North Coast just south of Umhlanga, the house is gently nestled between protected milkwood trees and enjoys beautiful ocean views – both of which inspired the design. Take a look at the complete story below. 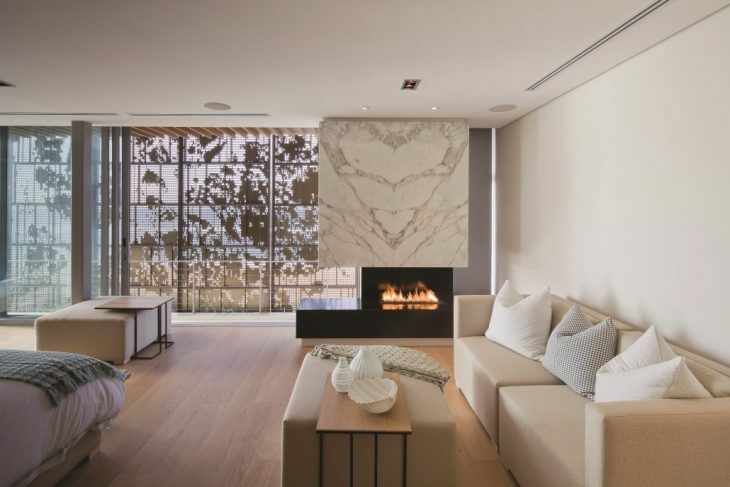 From the architect : This La Lucia beach house perfectly balances luxury and comfort with its uncomplicated spaces. 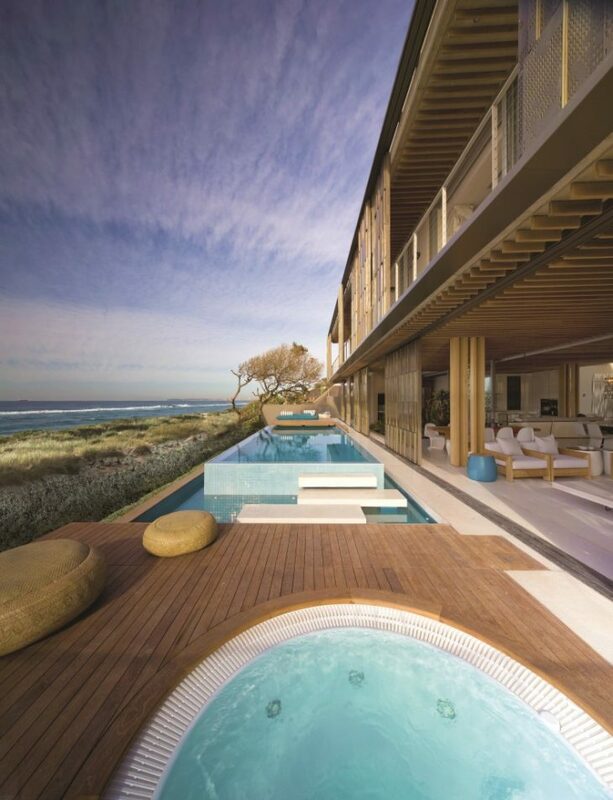 Situated on the Kwazulu Natal North Coast just south of Umhlanga, the house is gently nestled between protected milkwood trees and enjoys beautiful ocean views – both of which inspired the design. 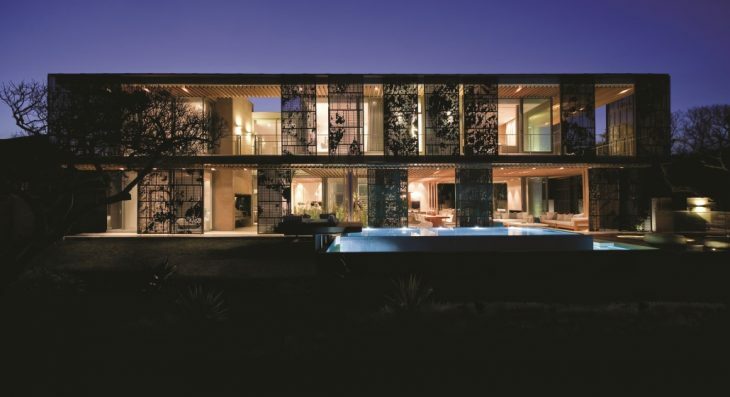 Bronze aluminium sliding screens cocoon the house and offers protection from the elements as well as providing a unique the signature look for of the building. 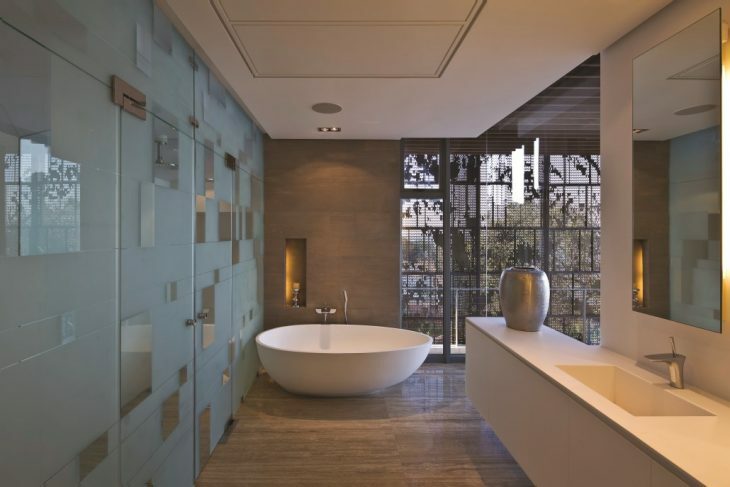 “The surrounding beauty of the environment inspired so much of the design. 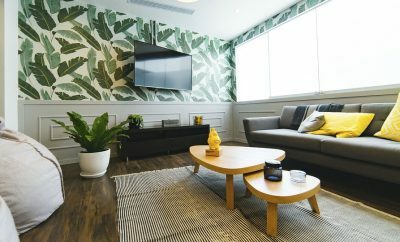 As designers we are passionate about creating spaces that reflect both the location and our clients – that is how life-enhancing spaces are crafted.” – Mark Rielly, ARRCC Director. A sense of arrival is created by two milkwood trees flanking the entrance. 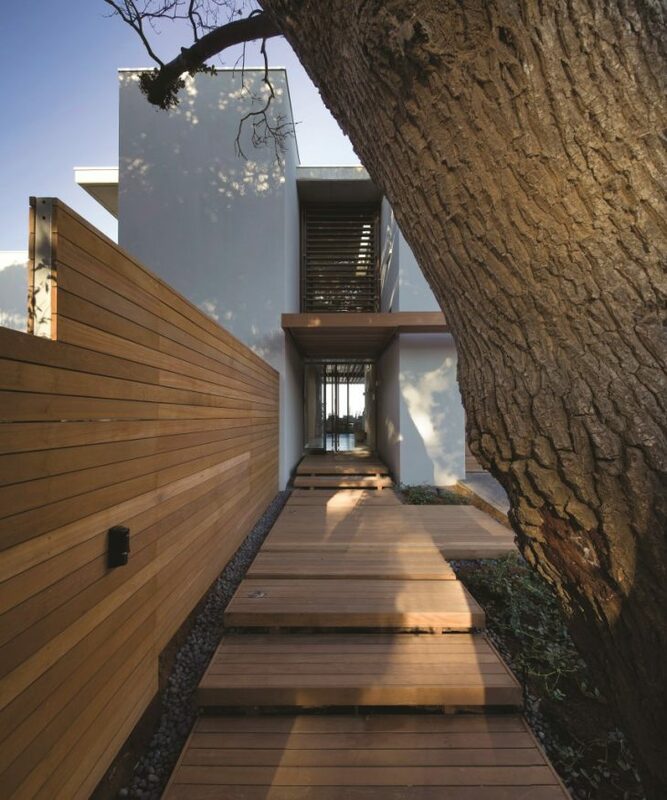 A floating timber step platform and pergola lead towards the front door of the home. 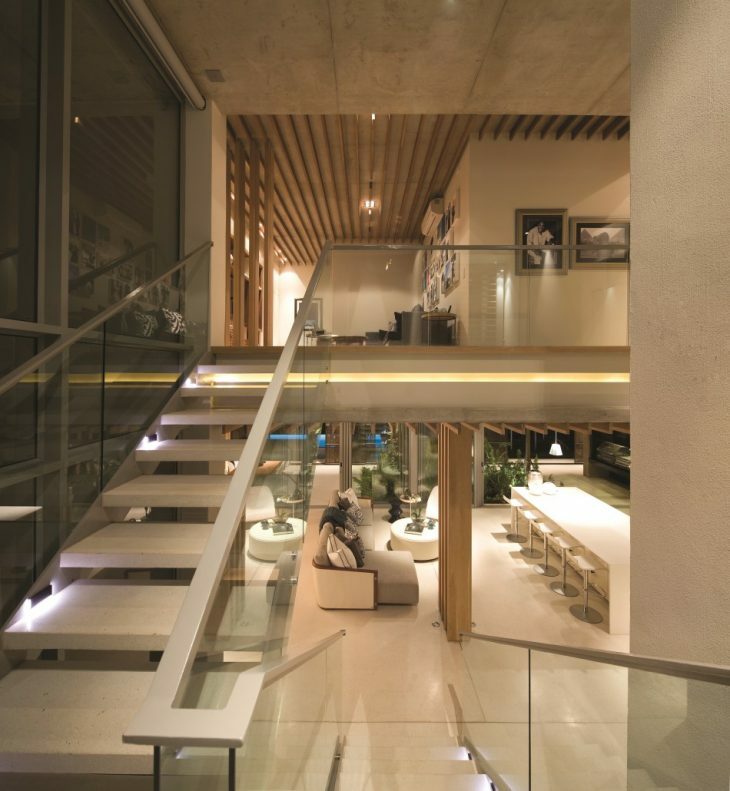 Upon entering, the panorama is only revealed as one reaches the doublevolume hallway – the aligned timber slat cladded ceilings drawing the eye to the seascape ahead. 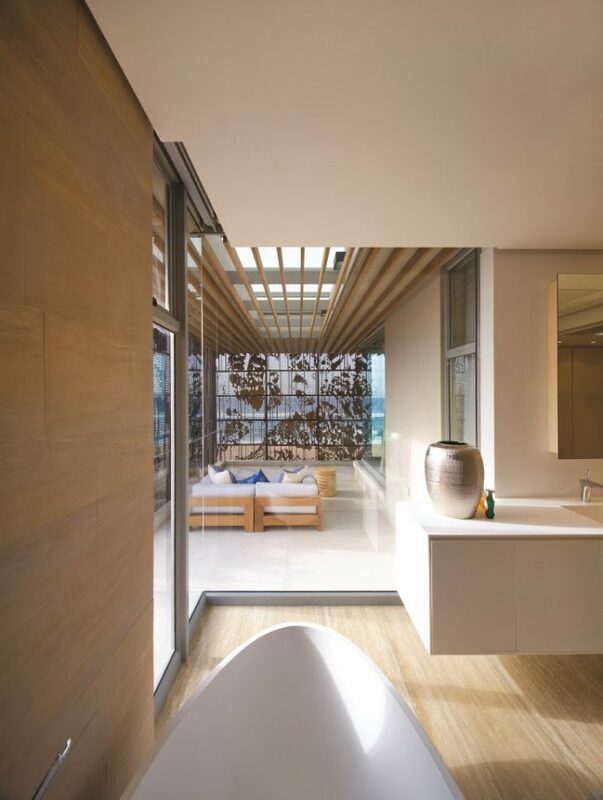 Ocean views are framed perfectly by the screens that envelope the building. 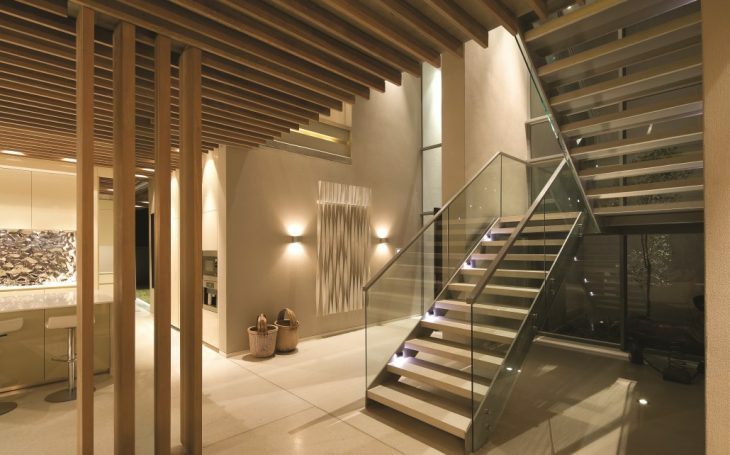 “The owners wanted the project to epitomise the spirit of a contemporary beach house with a sense of sophistication. 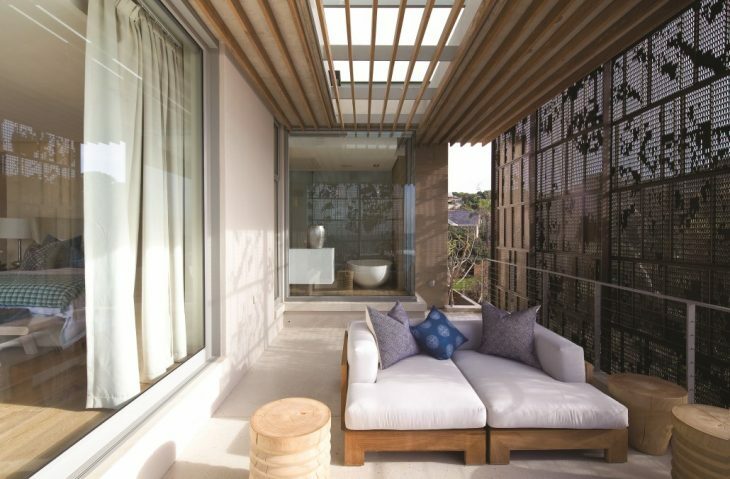 The design was kept relaxed yet carefully considered to maximise the environment it forms part of,” says Rielly.